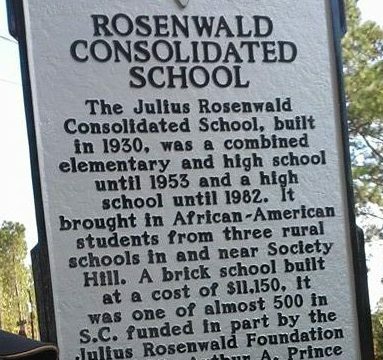 The Julius Rosenwald Consolidated School, built in 1930, was one of almost 500 schools in South Carolina funded in part by the Julius Rosenwald Foundation during the early twentieth century. A frame industrial education building was added in 1936. When the school opened it included grades 1-10, grade 11 was added in 1939 and grade 12 in 1948. 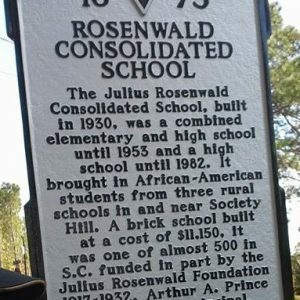 In 1953, during the state school equalization campaign meant to forestall desegregation, Rosenwald Consolidated School became a high school and a new Rosenwald Elementary School was built. The high school closed in 1982.